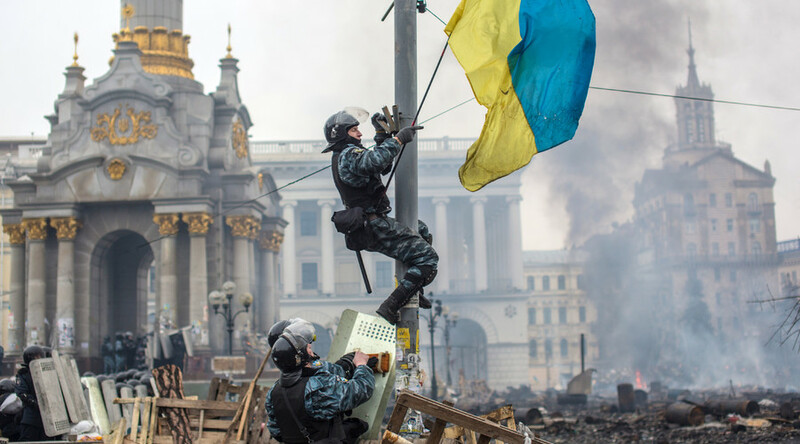 Kiev officials need to maintain the illusion they are a legitimate government that came out of a popular revolution and all the rest of it, says John Laughland from the Institute of Democracy and Cooperation in Paris. 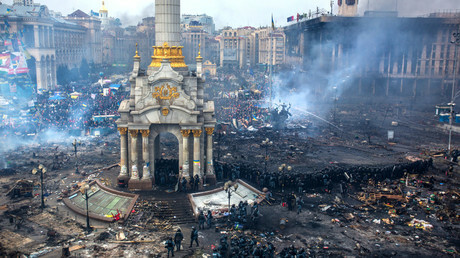 Ukraine asked French TV channel Canal+ not to broadcast a documentary about the Maidan revolution in Kiev two years ago. ‘The Masks of Revolution’ is an investigation into the role of far-right groups and foreign interference in what happened. The Ukrainian Embassy in France accused the director of distorting the facts. RT: The Ukrainian Embassy in France is offering advice to Canal+. How unusual it is for a major French broadcaster to work with a foreign embassy? John Laughland: The request has been made, hasn’t it? The Ukrainians have said that the documentary shouldn’t be shown. I am not sure if the documentary maker worked with the Ukrainian Embassy, I doubt that he did – on the contrary. The most obvious point that comes to mind is that such attempts to muzzle the media always backfire; they always attract more attention. People are going to say: “Why does Kiev want this documentary not to be shown?” So I think the embassy in Paris has made a mistake. If they wanted the documentary not to have any attention paid, they should have simply ignored it. Instead now people are going to talk about it. RT: The film director Paul Moreira is now coming under attack from Ukrainian nationalists on his twitter page. What kind of public reaction should we expect after the film is broadcast? RT: Is there any kind of reaction in France about this kind of interference, which could be described as censorship? JL: I don’t think that is fair. They are at liberty to say that they think this documentary is a load of rubbish, they have asked the channel not to show it. All it does it reflects badly on them, because of course they need to maintain the illusion that they are a legitimate government that came out of a popular revolution and all the rest of it; it is clearly something that has rattled them. I don’t think anybody is going to give into the request. I am sure the channel will show the film and they will be delighted for the free publicity that it has offered them. It’s fair enough – they are allowed to say that if they want to. I just think they would’ve been better advised to keep quiet and to ignore it. RT: Overall, how did French media cover the revolution in Ukraine? JL: Well, it was covered very badly, it was covered very one-sidedly, much as the documentary maker of tonight’s film says: Everyone saw it as a fairytale opposing the good Maidan forces against the evil corrupt [Viktor] Yanukovich and behind them the Russians, and so on. The fairytale was peddled as much in the French media as it was anywhere else. To be fair, the issue of extreme right-wing elements was discussed including in mainstream French media; in Le Monde, for example, on the television channel RT. The line then was that these extreme right-wing elements were present. This was said at the time of the Maidan, even before the overthrow of Yanukovich; but that their presence was not important; that it didn’t really matter, because the vast majority of the Maidan people were liberal democrats – that was the line. This is obviously the line which the documentary maker tonight is questioning. But to say that these things were not mentioned, or were not known is simply untrue. They were mentioned, they were played down, and I think wrongly so, but they were mentioned.